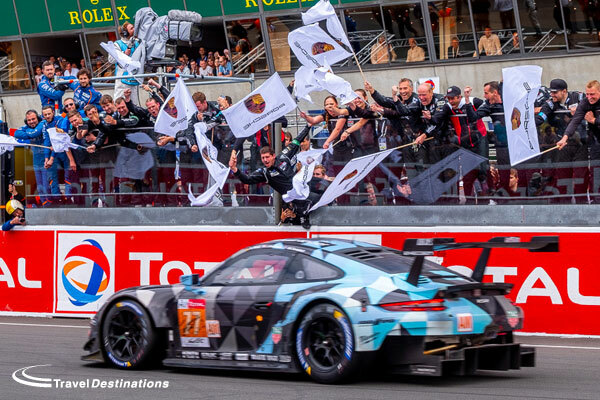 In a flash, the 86th running of the Le Mans 24 Hours has been and gone. And while early preparations for the 87th running are already underway, there is still plenty to reflect on from last weekend’s race. 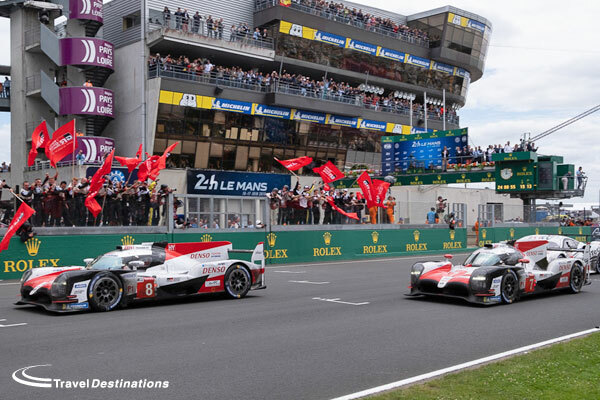 Overshadowed by endless Equivalence of Technology debates, the LMP1 race at Le Mans this year left a lot to be desired for many, but still wowed some of the new audience who tuned in for the first time to check out the star drivers. What did we see? Toyota’s race against the race, rather than it’s privateer competitors. With the privateers forced to pit more frequently, and spend more time re-fuelling, any sort of wheel-to-wheel action was always going to be a long shot. The fact that most of them weren’t quick enough either though, meant the closest a privateer came to leading the race was at Turn 1 at the very start, and even that was messy! So did Toyota deserve their big win? Will it feel as satisfying? Well, you can argue yes to both. This is a brand that has invested countless millions into the sport, and come close to winning so many times since it started racing since at Le Mans in the early 1990s. This win has been a long-time coming, and to many involved in the programme, a trouble-free (Kobayashi missing his penultimate stop aside), clean run with no issues will serve as a breath of fresh air. After all, the fact that the competition wasn’t as hot as year’s past, isn’t their fault. Oh, and seeing Kazuki Nakajima take the flag in the No.8, putting the demons of 2016 behind him, was a sight to behold! Behind Toyota, the battle for the final podium spot was pretty open early on, with SMP Racing’s No.17 BR1 able to challenge Rebellion’s R-13s. Into the second half of the race though, it became clear that in a race of attrition, the BR1s didn’t have the legs, both cars hitting trouble (one early in the race, and one in the final hour) and therefore had to leave Rebellion’s two cars to fight amongst themselves for the third-place prize. Ginetta, ByKolles and DragonSpeed meanwhile, didn’t feature, perhaps unsurprisingly. The ByKolles CLM crashed out in a big way, both TRSM Ginettas ran effectively a public test programme (one G60-LT-P1 remarkably making the finish) and DragonSpeed’s race ended prematurely in the wall at the Porsche Curves after an error by Ben Hanley. So Le Mans 2018 was not a perfect race, but there were flashes of what could be to come from all the private teams. With a re-think in how the EoT works, and more development work done to the cars, next year’s race could spring a surprise or two! It was far from a surprise, but GTE Pro provided the fans track-side and at home with the best action in the race. It was the only class which delivered the goods, and thank goodness it did as all the other classes suffered lengthy lulls throughout. While the ‘Pink Pig’ Porsche 911 RSR eventually took a comfortable (and popular) victory, due to the car being handed an advantage due to an early safety car period falling its way, the action behind was stellar. For much of the race, the battles from second place down to as low as 12th, were superb. 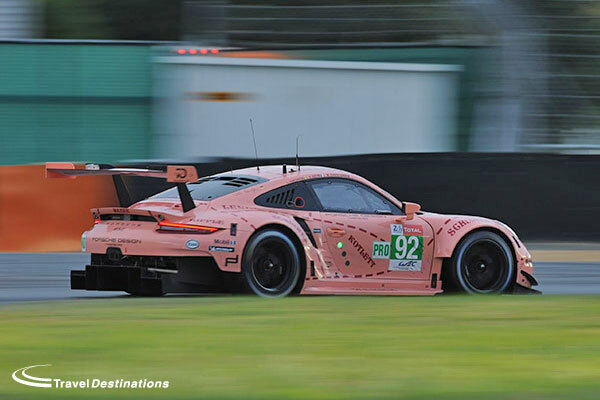 Some of the best GT drivers in the world were able to run door-to-door, and cleanly too, with no major incidents occurring despite the nature of the pack racing on the faster parts of the circuit. BoP was of course, a big talking point, and unfortunately so. However, once the race arrived, most of the negativity in and around the paddock was put to one side. Only one factory struggled, and that was Aston Martin, its new Vantage AMRs wildly off the pace, and by such a margin that after two BoP breaks, neither car was able to run much better than just ahead of the GTE Am class leaders. While, that was a shame, seeing BMW, Porsche, Ford, Corvette and Ferrari all battling hard was a treat. Ultimately, Ford and Porsche had a slight upper hand though, Porsche’s 911 RSRs improving further as the temperature dropped, but that did little to detract from what we saw. Beyond the headlines focusing on F1 megastars, there were some very bright stars involved at Le Mans this year, with several putting in truly head-turning performances. In LMP1, the entire No.3 Rebellion line-up of Thomas Laurent, Gustavo Menezes and Mathias Beche was stunning. 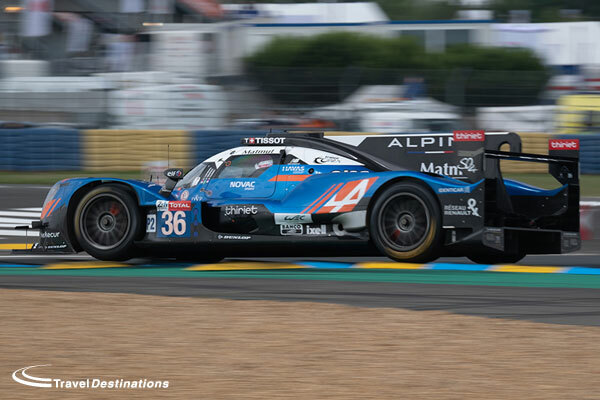 Menezes and Laurent have of course, already taken Le Mans class wins, but up against their teammates in the No.1 (Neel Jani, Andre Lotterer and Bruno Senna) they spent most of the weekend on the front foot and now look destined to become household names. 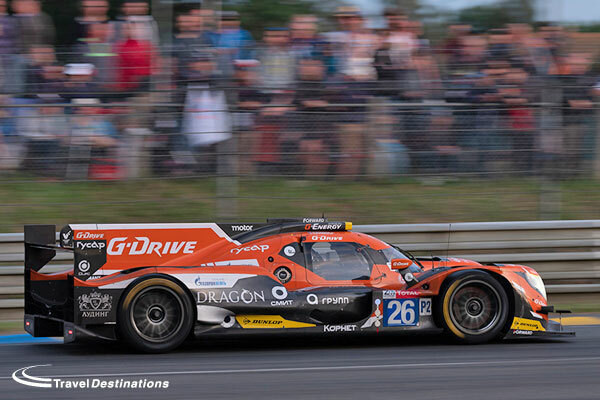 There were also some stunning drives in LMP2, with Andrea Pizzitola in the G-Drive Racing ORECA looking bullet-proof – until the team was disqualified. And the Panis Barthez three of Will Stevens, Julien Canal and Timothe Buret proved the surprise package of the entire week, putting the French team, Michelin and Ligier in contention for a win until reliability issues cost them a podium in the closing stages of the race. Down in GTE Am, there were a number of young drivers that shone in what was a class that didn’t really ever get going. The talent of Dempsey Proton’s Matteo Cairoli (his off at the Ford Chicanes aside) is no real news here – but now looks even more likely as a full factory driver for the future after showing such poise once again. Julien Andlauer in Dempsey Proton’s ranks impressed too, winning on his Le Mans debut after not putting the team on pole and running a faultless race. Porsche has a real logjam now, with so many young hot shoes and experienced GT veterans on its books, all capable of much the same in terms of performances. Nobody likes to see a race decided by a stewards enquiry, but that’s what we got with LMP2. G-Drive Racing’s ORECA 07 Gibson which dominated the class from early in the race all the way to the flag, was disqualified after the team was found to be tampering with its fuel rigs, giving it an advantage in the speed in which the team could fuel its car. In the end, the team was so dominant, that even without the handful of seconds gained at each stop, it would almost certainly have cruised to the line for a win anyway. But rules are rules, and Signatech Alpine was eventually crowned LMP2 champion for the second time in three years. The team’s other car (run under the TDS Racing banner) was caught out too, and lost fourth. This promoted United Autosports’ #32 Ligier JS P217 to the podium, giving Juan Pablo Montoya, Will Owen, and Hugo de Sadeleer, as well as chassis supplier Ligier a positive result after a tough week. There’s plenty of ways to look at the ‘Alonso factor’. You can be cynical, you can also be incredibly supportive, there’s no right or wrong answer. Either way, everyone had to sit down, soak up all the headlines he create and watch the Spanish F1 champion take on Le Mans for the first time. Ultimately, he is, a Le Mans champion now, and will be forever referred to as a multiple F1 world champion and Le Mans winner. Did he win a race in which there may have been an element of favouritism at play between Toyotas two TS050 HYBRIDs? Maybe. Did he have only the sister car as true competition? Yes? Is it his problem? No. If you are going to take away one thing from Fernando Alonso’s Le Mans 24 Hours, it’s that he was pushing. Despite the race not being the toughest and most competitive for Toyota, Alonso ended up with the fastest laptime average time of anyone in the class. He was not taking it easy, and put in the car for the least time possible to nab the win with the least effort. He didn’t even drive early on Sunday morning when the temperatures track-side provided the best conditions for drivers to put in qualifying-level lap times. Will he keep coming back? That’s not something we know yet. But should we all appreciate that he has come along, and conquered the race? Yes. 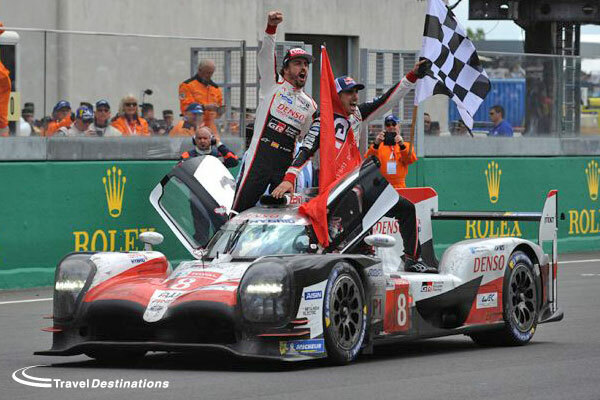 At a time where the FIA WEC and Le Mans 24 Hours is at its lowest in terms of factory involvement in the prototype ranks, Alonso kept the race feeling big, historic, and relevant. And we should thank him, in part, for that. And so Le Mans 2018 is already just a memory, but Le Mans 2019 (the final race of the FIA WEC Super Season!) is already on the horizon. 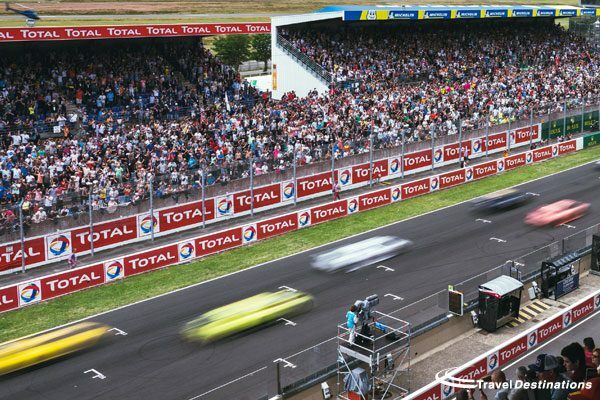 You can book and reserve your place at Le Mans with Travel Destinations now. Call our experts now on 0844 873 0203 to guarantee your place!